3. Belize’s barrier reef removed from UNESCO’s list of World Heritage in Danger Belize’s Barrier Reef System is part of the largest barrier reef in the Western Hemisphere, the Mesoamerican Reef System. It is an incredibly diverse ecosystem and serves as a home to nearly 1,400 species, many of which (like the hawksbill turtle) are endangered. In 2009, the site was added to UNESCO’s List of World Heritage in Danger as a result of coastal construction and oil exploration threatening the delicate habitat there. 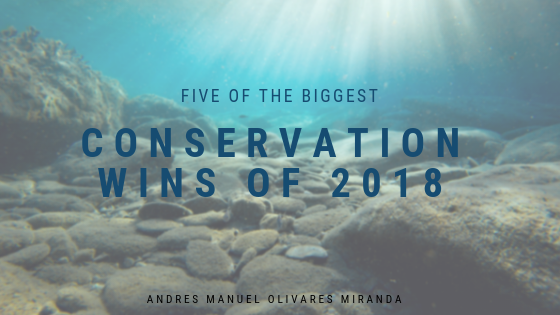 As of 2018, conservation efforts have proved successful, and the reef has been removed from the list.